The Laramie County Sheriff's Office is seeking information related to a theft that occurred in the 4000 block of the I-80 Service Rd. Between March 30th and the 31st a tanker trailer belonging to Airgas Nitrogen services was taken. The trailer was missing the rear fenders. If you have information about this or any other crime, call Crime Stoppers Silent Witness at 638-TIPS or on the web at silentwitnesslaramiecounty.com. You will remain anonymous and may be eligible for a cash reward of up to $1,000.00. Together we can make a difference. Brandon Warner - Laramie County Sheriff's Office. Total cost for the items, plus required software for select equipment, is $95,777. Lt. Don Hollingshead- Laramie County Sheriff's Office. Brandon Warner- Laramie County Sheriff's Office. Lt Don Hollingshead- Laramie County Sheriff’s Office. The Laramie County Sheriff's Office is seeking information related to a vehicle burglary that occurred in the 200 block of Quarter Circle Dr. Between December 1st and the 2nd, a construction trailer was entered. A John Deer 8000W generator and a Makita gas powered air compressor were stolen. Lt Don Hollingshead- Laramie County Sheriff's Office. The Laramie County Sheriff's Office is seeking information related to a vehicle burglary that occurred in the area of Otto and Round top Rd. Between November 1st and the 4th, two work trucks were entered. A Stihl brand demo saw, tools and two Predator water pumps were stolen. The Laramie County Sheriff's Office is seeking information related to a vehicle burglary that occurred in the 12000 block of Deike Ct. Between October 31st and November 3rd, a stereo and a navigation system were taken from a 2019 Kenworth semi. Brandon Warner- Laramie County Sheriff's Office.. The Laramie County Sheriff’s Office is seeking information related to a larceny that occurred in the 700 block of Fox Farm Rd. Between October 9th and the 23rd, a 1999 Spencer 18ft bumper pull flatbed trailer, WY TRL 2785 with VIN# GN83181BR05140000 was stolen. The trailer has custom ramps and aluminum fenders. Lt Don Hollingshead - Laramie County Sheriff’s Office. The Laramie County Sheriff's Office is seeking information related to a larceny that occurred in the 7300 block of Rucker Rd. Between August 23rd and the 30th, a 2002 Loadmaster 10ft utility trailer was stolen. The trailer has 15 inch metal sides with "Dunlop" on them. Lt Don Hollingshead - Laramie County Sheriff's Office. The Laramie County Sheriff's Office is seeking information related to a larceny that occurred in the 700 block of Sunridge Dr. Between September 11th and the 12th, a Honda S3500 generator was taken from the bed of a pickup. The Laramie County Sheriff's Office is seeking information related to a theft. Between August 15th and the 16th, Cheyenne Memorial Gardens, 4701 Christensen Rd, had two water pumps stolen from a water feature. The Laramie County Sheriff's Office is seeking information related to a larceny that occurred in the 2500 block of South Greeley Hwy. Between June 16th and June 18th someone stole numerous tools valued at over $2000.00 from a truck parked in front of a business at that location. See our Facebook page for a detailed list of the stolen items. Item 5: 60 dollars U.S. currency in unknown bills. The Laramie County Sheriff's Office is seeking information related to a vehicle burglary that occurred at the Laramie County Fairgrounds. Between June 15th and the 22nd, a cargo trailer was entered and sound equipment was taken to include, two 15 inch Yamaha subwoofers, Bahringer 20 Channel 1600 Watt Amp, black Gator case, two generic 12 inch subwoofers and a bag weighing about 150 pounds containing miscellaneous speaker wires and microphone cables. The Laramie County Sheriff's Office is seeking information related to a larceny that occurred in the 2800 block of South Greeley Hwy. Between May 29th and the 30th a Warn winch was taken off of a 2012 Jeep Wrangler that was parked at that location. Lt. Don Hollingshead - Laramie County Sheriff's Office. The Laramie County Sheriff's Office is seeking information related to a larceny that occurred in the 8900 block of Campstool Rd. Between May 11th and June 1st, a storage yard at that location was entered and numerous items were taken to include a white box trailer, and various pieces of oil field equipment. See our Facebook page for a detailed list of the stolen items. The Laramie County Sheriff's Office is seeking information related to a vehicle burglary that occurred at 2205 Gordon Rd. Between April 25th and the 26th, a GMC 1500 was entered. Numerous tools were taken to include Ryobi cordless power tools. The Laramie County Sheriff's Office is seeking information related to a burglary that occurred in the 1100 block of Green Mountain Rd. Between April 1st and the 11th, a home was entered. Several items were taken to include a Colt Arms AR-15 and a Beretta 92F 9mm. There was around $7450.00 worth of damage done inside the building during the burglary. Jonsered chain saw, red with a 20 inch bar and "BOTT" written in permanent marker by the handle. Orange and black Stihl 290 Farm Boss chainsaw, with either a 18 inch or 20 inch bar with an orange bar guard over the bar. Orange and black Stihl gas-powered leaf-blower model 85. Gray and orange Husqvarna model 128 gas-powered weed eater, with a 5' long straight shaft. Set of two (2) red steel 5 gallon gas cans full of unleaded fuel; one of the gas cans had "Beth" written on it. Red and black 2000 watt Honda portable generator, the generator had one of its four feet broken off, and the handle was crushed from a prior impact on its top. If you have information about this or any other crime, call Crime Stoppers Silent Witness at 638-TIPS or on the web at silentwitnesslaramiecounty.com. You will remain anonymous and may be eligible for a cash reward of up to $1,000.00. Together we can make a difference. Brandon Warner - Laramie County Sheriff's Office. The Laramie County Sheriff's Office is seeking information related to a Larceny at Bar - S Trucking. Between August 11th and 12th, someone entered the property and stole approximately $2,700 worth of heavy gauge electrical wire from the trailers stored there; and caused approximately $1,000 in damage. The Laramie County Sheriff's Office is seeking information related to a burglary that occurred in the 200 block of West Wallick Road. Between June 24th and July 2nd, the garage was entered and two red go-carts were taken. This year marks the 16th anniversary of the Jamie Kamai homicide; we have hopes that someone from the public will come forward with new information and finally bring the suspect to justice and bring closure to the family. On Thursday, June 21, 2001, at approximately 0811 hours; Deputies from the Laramie County Sheriff's Department were dispatched to the area of the 200 block of West College Drive, Cheyenne, Laramie County, Wyoming reference a "shooting". This location was south of the "Mini Mart" convenience store located at 1610 South Greeley Highway. The victim, that was found sitting in his car, was later identified as "Jamie Christopher Kamai" (DOB 01/14/76). Mr. Kamai, who was 25 yoa, at the time of the incident, was transported to "Memorial Hospital" (now known as "Cheyenne Regional Medical Center") and later pronounced deceased by the attending physician in the Emergency Room. At the time of the shooting, the victim's infant daughter and young stepson were passengers in vehicle with Mr. Kamai. The stepson, who witnessed the shooting, stated during his initial interview, that a pickup truck driven by a male was following them down South Greeley Highway onto College Drive. The young boy stated that his Step Father, Mr. Kamai pulled over after he turned westbound on College Drive. Mr. Kamai then exited his vehicle and walked back to the pickup truck driver's side door. He said that the driver did not exit the vehicle, but during a conversation with Mr. Kamai, the driver shot Mr. Kamai while remaining in the vehicle. Mr. Kamai then walked back to his own personal vehicle and sat back down in the driver's seat, where he remained until passersby and emergency personal arrived. The suspect pickup truck left the scene westbound on College Drive. The investigation has continued from that day of the initial incident to today, with all leads followed up by Detectives from the Laramie County Sheriff's Department to now currently Agents of the Wyoming Division of Criminal Investigation. The case has remained opened during the past 16 years, but unfortunately remains unsolved. The Laramie County Sheriff's Office is seeking information related to a copper wire theft from and oil field site near Campstool and County Road 207. On May 4th between 5 and 8pm, 1400 feet of black four strand wire was taken. 7) 2 Wood Boxes all the equipment was stored in. The Laramie County Sheriff's Office is seeking information related to a larceny of a business located in the 100 block of avenue C-1. Sometime between March 13th and March 20th, a white 2001 "Pace" box trailer VIN# 4P2UB14251U023168 was taken. The trailer contained numerous tools and insulation to include an orange and black Rigid WD 18510 16 gallon shop vacuum S/N: 14140R0557, Krendl 475 blue insulation sprayer S/N: 972, orange and black Generac GP7500E gas generator S/N: 6830371E and 50 28.5lbs packages of Greenfiber insulation. The Laramie County Sheriff's Office is seeking information related to a reckless endangering incident that occurred in the 1400 block of South Greeley Highway. On February 27th at approximately 8:17 pm, someone fired several rounds into a trailer and a vehicle at that location. After the shots were fired, a black Saturn Ion was seen leaving the area. The Laramie County Sheriff's Office is seeking information related to a vehicle theft that occurred in the 1000 block of Briar Ct. Between February 21st and 22nd, a black 2004 Ford F-350 valued at 12,000 was taken; another vehicle on the property had a window broken out. And a range bag that included 8 AR 15 magazines, earplugs, safety glasses and a cleaning kit. The Laramie County Sheriff's Office is seeking information related to burglaries of a model home at Bill Day Housing, 3016 South Greeley Highway. Between January 10th and the 26th, the home was entered twice. A stainless steel kitchen sink and Whirlpool dishwasher were stolen. The Laramie County Sheriff's Office is seeking information related to a burglary that occurred in the 800 block of Dean Fog Drive. During the overnight hours of December 2nd, a home under construction at that location was entered and over 8,000.00 in tools, and building materials were taken; the tools were marked with the letters MM. The Laramie County Sheriff's Office is seeking information related to a destruction of property case which occurred in the 700 block of East College Dr. during the overnight hours of December 20th. The suspects punctured all four tires on a vehicle parked at that location causing over $1,500 in damage. If you have information about this or any other crime, call Crime Stoppers Silent Witness at 638-TIPS or on the web atsilentwitnesslaramiecounty.com. You will remain anonymous and may be eligible for a cash reward of up to $1,000.00. Together we can make a difference. The Laramie County Sheriff's Office is seeking information related to a string of vehicle burglaries that occurred in the areas of E. Prosser Rd, E. College Drive and Helen Ave., during the overnight hours of December 20th. Numerous items were taken from the vehicles to include a .38 Cal. 2 barrel Derringer. If you have information about this or any other crime, call Crime Stoppers Silent Witness at 638-TIPS or go to the web page www.silentwitnesslaramiecounty.com . You will remain anonymous and may be eligible for a cash reward of up to $1,000.00. Together we can make a difference. The caller I.D. system is not installed on the Silent Witness Phone Lines. Silent Witness is an affiliate of Crime Stoppers International. Lieutenant Don Hollingshead - Laramie County Sheriff's Office. The Laramie County Sheriff's Office is seeking information related to a burglary that occurred at Clayton Homes in the 2400 block of SGH. Between November 23rd and 26th, several of the units were broken into and various decor and furniture items were taken to include mattresses, lamps and chairs. The Laramie County Sheriff's Office is seeking information related to a stolen Harley Davidson Road King. The motorcycle was taken from the 3400 block of Carla Dr, between October 29th and 31st. It's a 1999 model, red in color with black weathered saddle bags, expired Wy registration 2-2233 and VIN# 1HD1FRW11XY632281. The Laramie County Sheriff's Office is seeking information related to a larceny that occurred in the 11,000 block of the I-80 Service Rd. Between July 29th and 31st, a 10 ft, white over green 1957 travel trailer and a 16 ft, red flatbed trailer with a 500 gallon water tank on it were stolen from a business at that location. The Laramie County Sheriff's Office is seeking information related to a burglary that occurred in the 6600 block of Highland Rd. Prior to September 30th the garage was entered. Several items were stolen, including a Champion generator and a waist oil heater. The Laramie County Sheriff's Office is seeking information related to a larceny that occurred at the Holly Frontier Refinery. Between September 12th and 13th during nighttime hours, someone entered the facility grounds and stole a red 2008 Polaris Ranger with black cab and doors, VIN # 4XARH50A482382403. It has a two inch by two inch sticker on the lower driver's side corner of the windshield with the number 25. The seat has a tear on the driver's side and in the center. The key ring is wooden and has two keys, one small and one larger. The larger key says, safety lock. The Laramie County Sheriff's Office is seeking information related to a burglary that occurred in the 1700 block of Powderhouse Road. Between August 6th and 8th, someone entered the garage at that location and stole a pair of "Beat" brand head phones and two youth sized compound bows, see our FB page for a more detailed description of the missing items. The Laramie County Sheriff's Office is seeking information related to a larceny that occurred in the 700 block of Sun Ridge Drive. Between July 15th and July 29th, two Honda EU 2000 generators were stolen from that location. The Laramie County Sheriff's Office is seeking information related to a burglary that occurred in the 2000 block of Fernwood Drive. Between July 13th and 14th, someone kicked in the door of a building under construction at that location and stole a Whirlpool brand washer, dryer and stove. The Laramie County Sheriff's Office is seeking information related to a burglary that occurred in the 11000 block of US-30. Between 7am on June 11th and 12am on June 12th numerous items were stolen, including a black Craftsman rolling toolbox and Dell laptop computer. The Laramie County Sheriff's Office is seeking information related to a stolen flatbed trailer. The trailer was taken from the 2400 block of West College Dr. between June 8th and June 18th. It's a 24' gooseneck flatbed made by Ameritrail. The Laramie County Sheriff's Office is seeking information related to a larceny that occurred from the Safeway parking lot on South Greeley Highway. At approximately 3pm on May 28th a light grey "Transition" mountain bike worth several thousand dollars was taken from the bed of a pickup truck while the owner was in the store. The Laramie County Sheriff's Office is seeking information related to a string of burglaries in the Thomas Heights subdivision between Ridge Road and College Drive. Within the past several weeks several of the homes under construction were entered and various building supplies were taken. The Laramie County Sheriff's Office is seeking information related to a larceny that occurred in the area of Campstool and the Burlington Northern Rd. Between April 16th and 28th, a 2004 white dual axel 12 ft enclosed cargo trailer was taken from that location; the trailer had the words "Basic Energy Services" printed on the side. The Laramie County Sheriff's Office is seeking information related to a larceny that occurred in the 6100 block of Tundra Drive. Between 6pm on May 5th and 6am on May 6th a United Rentals welding trailer with a Miller welder was taken. The Laramie County Sheriff's Office is seeking information related to a burglary that occurred in the 5000 block of Iron Mountain Road. Between 9:30 am and 2:00 pm on April 1st, someone entered a residence at that location and took a Makita Hypoid Circular Saw with black case, DeWalt 12" Miter saw, Cloth gun case that has a green camouflage pattern on it, and a AR-15 style rifle with a Nikon P-223 scope and a Magpul ''military green" stock. The Laramie County Sheriff's Office is seeking information related to a burglary that occurred in the 2400 block of county Road 218. Between 7am and 4:30 pm on April 5th someone entered the residence at that location and took several firearms and over 200 gold and silver coins. Smith & Wesson Model 25 .45 caliber Long Colt 5 inch revolver. Glock 21 Gen 4, .45 caliber 4.6 inch barrel, semi-automatic handgun. Ruger 10-22, .22 caliber long rifle. Make Unknown, .380 pocket semi-automatic handgun, 2.5 inch barrel. (5 coins) Buffalo silver bullion by Golden State Mint. (90 coins) Silver Eagle (.999 pure) silver dollars. (60 coins) Morgan and Peace Silver dollars. (50 coins) pre 1964 dimes. (10 coins) pre 1964 Kennedy half dollars and Liberty half dollars. Dyson upright vacuum cleaner, purple in color. The Laramie County Sheriff's Office is seeking information related to the theft of a flatbed trailer from Fire District #2 on North College Drive. Between March 19th and March 24th, a 2014 black flatbed bumper pull dual axel trailer with removable side rails on the front portion was taken. The trailer has "The Welding Shop" on the side and possibly "Paulibuilt".The trailer has a VIN number of 1W9BF202XEC382034 and Wyoming plates FD 78 which expire 3/2017. On the tongue of the trailer is a black plastic box which contains an assortment of chains, tie down straps and chain tensioners. The Laramie County Sheriff's Office is seeking information related to several vehicle burglaries that occurred in the town of Burns. Between March 10th and March 11th, two vehicles were entered and numerous items were taken to include a black gym bag with a silver "Jeep" tag and a blue Camel Back type back pack containing a Ruger 9mm semi-automatic hand gun. We need your help in identifying the suspect who robbed the Warren Federal Credit in the Safeway on South Greeley Highway. On February 29th at approximately 11:30 am, a white or light skinned black male wearing a surgical mask approached the teller line, brandished a small semi-automatic hand gun and demanded money. Please visit the sheriff's department Facebook page for photos of the suspect and any updated information. The Laramie County Sheriff's Office is seeking information related to a larceny that occurred in the 3400 block of East Pershing Blvd. Between January 22nd and 28th, a black 28ft Load Trail dump trailer bearing Wyoming trailer plate 2-13594 was taken from the back lot of a business at that location. The Laramie County Sheriff's Office is seeking information related to a burglary that occurred in the 2000 block of Iriquois Dr. Between December 2nd and 4th of 2015, two CAT backhoe attachments were taken from the property. The stolen items were described as a "ripper" and a "compaction wheel." The Laramie County Sheriff's Office is seeking information related to a larceny that occurred in in the 6200 block of County Road 213. Between January 8th and January 14th, a welding trailer with a diesel G-400 Miller welder, gas bottles and torch were taken. If you have information about this or any other crime, call Crime Stoppers Silent Witness at 638-TIPS or go to the web page www.silentwitnesslaramiecounty.com . You will remain anonymous and may be eligible for a cash reward of up to $1,000.00. The caller I.D. system is not installed on the Silent Witness Phone Lines. Silent Witness is an affiliate of Crime Stoppers International. The Laramie County Sheriff's Office is seeking information related to a burglary that occurred in the area of Dell Range and Van Buren. Between December 2nd and December 3rd a construction trailer at that location was entered and numerous tools were taken. All of the tools were labeled with the letters "MSC" and included a Hilti brand hammer drill with case and a Max brand rebar tying tool. The Laramie County Sheriff's Office is seeking information related to a larceny that occurred in the 4700 block of Thomas Road. Between November 19th and November 29th, a 2016 Riverside Whitewater 27 foot camper trailer and a 2010 Polaris Ranger were taken. The Laramie County Sheriff's Office is seeking information related to a burglary that occurred in the 600 block of Utah Street. Between the evening of November 18th and the morning of November 19th, a building at that location was entered and numerous tools were taken, to include a Bosch table saw and a Milwaukee hammer drill. Deputy Brandon Warner - Laramie County Sheriff's Office. The Laramie County Sheriff's Office is seeking information related to a larceny that occurred in in the 200 block of South Greeley highway. Between 1:00 AM October 1st and 8:00 AM October 4th, three solar panels, copper wire and aluminum restaurant hood were taken. The Laramie County Sheriff's Office is seeking information related to a larceny that occurred in the 3700 block of County Road 215. Between September 15th and September 28th, 2 motorcycles were taken from the property. The stolen bikes were a red and white 2001 Honda and a green 2004 Kawasaki. If you have information about this or any other crime, call Crime Stoppers Silent Witness at 638-TIPS or e-mailtips@crime-stopper.net. You will remain anonymous and may be eligible for a cash reward of up to $1,000.00. The caller I.D. system is not installed on the Silent Witness Phone Lines. Silent Witness is an affiliate of Crime Stoppers International. The Laramie County Sheriff's Office is seeking information related to a larceny that occurred in the 2100 block of Draper Road. Between 2pm and 4pm on September 28th, a metal "brake" was stolen from a field at that location. The tool measures 12.5 feet long by 2 foot wide and is used for bending metal. The Laramie County Sheriff's Office is seeking information related to the unauthorized killing of a buffalo on Terry Bison Ranch property. It is estimated that the buffalo was shot and butchered at that location between August 15th and August 20st. The suspect took the front shoulders and both hind quarters as well as the back-straps from the caucus. The Laramie County Sheriff's Office is seeking information related to a larceny that occurred in in the 1100 block of Verlan Way. Between 6:30 PM September 1st and 8:00 AM September 2nd , a green Makita gas powered concrete saw was taken. The Laramie County Sheriff's Office is seeking information related to a burglary that occurred in the 3300 block of the I-80 Service Road. Between August 7th and August 10th, (7) spools of copper wire weighing 500 lbs. each, and a flat screen TV were taken. The total value of the missing items is in excess of 30,000.00. The Laramie County Sheriff's Office is seeking information related to a burglary that occurred in the 3600 block of county road 222. Between July 10th and July 17th a building under construction at that location was broken into and 6 flat screen television sets were taken. The televisions sets were valued at over 5600.00 and were still in their boxes. The Laramie County Sheriff's Office is seeking information related to a larceny that occurred in in the 800 block of E. Prosser Rd. On August 3rd between 12:00 AM and 6:30 AM, a mini bike and a KTM 250 dirt bike were stolen. The Laramie County Sheriff's Office is seeking information related to a larceny that occurred in in the 1000 block of Happy Jack Rd. On July 3rd between 8:45 PM and 10:45 PM, a Honda EU3000 generator was stolen out of the back of a pickup. The Laramie County Sheriff's Office is seeking information related to a burglary that occurred at the St. Joseph's Parish Church in Albin Wyoming. Between June 1st and June 6th the church was broken into and a gold plated communion tabernacle set valued at $5,000.00 was taken. The Laramie County Sheriff's Office is seeking information related to a burglary that occurred in in the 200 block of Ave C-2. Between May 28th and May 29th several garages at the business were broken into and 30 mining truck radiators as well as a soil compactor were taken. The Laramie County Sheriff's Office is seeking information related to the theft of an enclosed construction trailer that occurred between May 8th and May 11th, 2015. It was taken from the area of Arizona St. and Yellowstone Rd. The trailer is white and has blue oval decals with black lettering that says "DC Construction". It contained over $18000 in tools. The Laramie County Sheriff's Office is seeking information related to a burglary that occurred in in the 700 block of South Fork Rd. Between noon on April 17th and 4 pm on April 20th a residence at that location was entered. A Smith & Wesson .38 caliber handgun and an H&K .223 rifle were among the numerous items taken totaling over $6,000.00. The Laramie County Sheriff's Office is seeking information related to a burglary that occurred in the 3600 block of County Road 222. Between the afternoon of April 3rd and the morning of April 4th, 2015 a work trailer at that location was entered. A 2" Porter Cable nail gun and an 18v Dewalt Impact Driver were among the items taken. The Laramie County Sheriff's Office is seeking information related to a burglary that occurred in the 2800 Block of Road 154. Between April 1st and April 2nd of this year a business at that location was entered. A Ridgid 12" compound miter saw and a Northern Industrial sand blaster were among the items taken totaling over $8,000.00 in value. The Laramie County Sheriff's Office is seeking information related to a burglary that occurred in the 10,000 block of Knowlwood Drive. Between January 16th and February 12th 2015 a workshop behind the residence was entered. A Berretta Tomcat .32 Caliber handgun and a Honda 2000 EU generator were among the items taken. The Laramie County Sheriff's Office is seeking information related to a burglary that occurred in in the 100 block of West Prosser Rd. Between the hours of 3:00 pm and 9:00 pm on March 16th 2015 the residence was entered. Two safes stored within the residence were broken into and approximately 81,200 in cash was taken. The Laramie County Sheriff's Office is seeking information related to a burglary that occurred in in the 6400 block of Stone Trail. Between November 2014 and January 4th, 2015 the residence was entered. A brown money box containing approximately $57,000 in cash and miscellaneous paperwork was stolen. The Laramie County Sheriff's Office is seeking information related to burglaries that occurred in West Winds Mobile Home Park. Between 9:30 p.m. January 19th and 12 a.m. January 20th, several vehicles were entered. A SAR Arms 9mm semi-automatic pistol and hand tools were among the items stolen. The Laramie County Sheriff's Office is seeking information related to a burglary that occurred in the 3400 block of Hancock Lane. Between 12 p.m. January 24 and 8 a.m. January 26, 2015 the residence was entered. A Generac 9000 generator and Hitachi air compressor were among the items stolen. The Laramie County Sheriff's Office is seeking information related to a burglary that occurred in the 300 block of East Prosser Road. Between 3pm and 8pm on the evening of January 10, 2015 the residence was entered. Jewelry, cash and coins were among the items stolen. The Laramie County Sheriff's Office is seeking information related to the burglary of a residence in the 2400 block of Division Road. Between November 7 and November 9, 2014 the residence was entered. A Smith & Wesson model 15 revolver and numerous jewelry items were stolen. The Laramie County Sheriff's Office is seeking information related to several vehicle burglaries that took place on the evening of December 11, 2014. Multiple vehicles were entered at 3008 Terry Road and 3400 Sought Greeley Highway. Among the items stolen was an AMT 45 Cal. 1911 pistol with rosewood grips. Deputy Raymond Nelson - Laramie County Sheriff's Office. The Laramie County Sheriff's Office is seeking information related to an armed robbery that occurred on December 4th, 2014. At approximately 9:25 p.m. the victim was leaving 3400 South Greeley Highway when she was approached by a male suspect with a gun. The suspect was wearing a black ski mask and a black pull over coat with an Oakland Raider's logo. The Laramie County Sheriff's Office is seeking information related to the burglary of several vehicles located in the 3500 block of Glencoe Drive. Between 9:00 pm. October 27, and 5:30 am October 28, several vehicles and a shop building were entered and among the items stolen was a Remington model 700 rifle, and a Ruger 9mm pistol. The Laramie County Sheriff's Office is seeking information related to the burglary of a residence in the 3000 block of Terry Road. Between the hours of 5:00 pm and 8:45 pm October 17th the residence was entered. Among the items stolen was an 11/2 carat three stone yellow gold wedding ring. The Laramie County Sheriff's Office is seeking information related to the burglary of a residence in the 4300 block of Darnell Place. Between the hours of 12:00 pm on September 29th and 12:30 pm October 5th the residence was entered. Among the items stolen was a 410 shotgun and military uniforms. The Laramie County Sheriff's Office is seeking information related to the burglary of the Cheyenne Regulatory Shooting Range located in the 1500 block of Otto Road. Between May 6th, and May 9th the business was entered and among the items stolen was a Central Machinery Table Saw and a red Craftsman 12 drawer tool chest. The Laramie County Sheriff's Office is seeking information related to the theft of an air compressor trailer. Between the hours of 2:00 pm on August 11th and 9:00 am August 13th the trailer was taken from a construction site near mile marker 370 on US 30. The trailer has a Reiman Corporation sticker on the engine cover. The Laramie County Sheriff's Office is seeking information related to an aggravated burglary of a business located in the 12100 block of Deike Court. Between 10:00 pm September 11th and 7:30 am September 12th the business was entered and among the items stolen was a Ruger .22 caliber rifle, and a Savage .22 caliber bolt action rifle. The Laramie County Sheriff's Office is seeking information related to the burglary of a residence located in the 2200 block of South Ave B-6. The home was entered between the hours of 4:00 pm on August 3rd and 1:00 pm August 5th. Among the items stolen was a large green gun safe that contained several firearms including a Glock model 17, 9mm pistol. The Laramie County Sheriff's Office is seeking information related to the burglary of a motorhome located at 3008 Terry Road. Between the morning of July 7th and the evening of July 11th the motorhome was entered and among the items stolen was a Ruger .338 rifle with a black stock and barrel and a Leupold scope attached. The Laramie County Sheriff's Office is seeking information related to the burglary of a residence located in West Winds Mobile Home Park 505 Williams. Between 4:30 pm. and 10:00 pm. the evening of June 21st the residence was entered and among the items stolen was a Taurus .357 magnum revolver. The Laramie County Sheriff's Office is seeking information related to the burglary of a residence located in the 4900 block of Road 228 in Albin. Between June 24th and June 28th the residence was entered and among the items stolen was 28 gauge double barrel Fox brand shotgun, and a 30.30 Winchester rifle. The Laramie County Sheriff's Office is seeking information related to the burglary of a residence located in the 300 block of East Prosser Road. Between June 3rd and June 6th the residence was entered and among the items stolen was black Ruger model P95 9mm pistol. The Laramie County Sheriff's Office is seeking information related to the burglary of a residence located in the 300 block of East Prosser Road. Between the hours of 2:30 and 4:00 p.m. May 27th the residence was entered and among the items stolen was an I-pad and a HP Laptop. The Laramie County Sheriff's Office is seeking information related to the burglary of a residence located in the 1000 block of East Prosser Rd. Between the hours of 10:00 a.m. on April 26th, and 10:00 a.m. April 27th the residence was entered. A Cannon digital camera and a Kirby vacuum were among the items stolen. 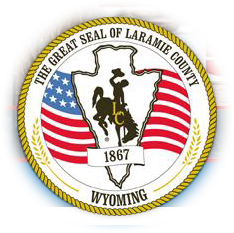 The Laramie County Sheriff's Office is seeking information related to the burglary of a residence located in the 700 block of Avenue C. Between 6:30 pm April 18 th, and 5:30 pm April 20th the residence was entered and among the items stolen was a Taurus Raging Bull .44 magnum revolver, blued, with a 6.5 inch barrel. The Laramie County Sheriff's Office is seeking information related to the burglary of a residence located in the 3500 block of Wills Road. Between noon, and 10:15 pm March 15th the residence was entered and a large quantity of jewelry was stolen. The Laramie County Sheriff's Office is seeking information related to the theft of a vehicle from 4 Quarters Excavation 1803 East Fox Farm Road. Between 5:00 pm March 18th and 8:00 am March 19th a red 2012 Ford F-350 diesel pickup with a chrome tool box and white fuel tank in the bed, was stolen from that location. The Laramie County Sheriff's Office is seeking information related to the theft of prescription drugs from Cheyenne Health and Wellness. Between 9:15 am and 1:30 pm February 12, a Prescription Take Back container of medication was taken from Cheyenne Health and Wellness. The Laramie County Sheriff's Office is seeking information related to an aggravated burglary that occurred in the 10000 block of Portugee Phillips Road. Between 11:00 p.m. February 5th and 11:00 a.m. February 6th, a shop building in that location was entered and two Smith and Wesson revolvers and a .25 caliber semi-automatic handgun were stolen. The Laramie County Sheriff's Office is seeking information related to the theft of an automobile that occurred in the 1500 block of Otto Road. Between 7:00 p.m. January 09th and 7:00 a.m. January 10th, a 2008 blue Dodge Ram 2500 pickup Montana license 237518A with a blue 2005 Sante Rigid Motorcycle in the bed was stolen from that location. The Laramie County Sheriff's Office is seeking information related to the theft of property that occurred in the 12000 block of road 215. Between 7:00 p.m. January 10th and 9:00 a.m. January 13th, two power cords were stolen from Mountain West Oil Company. The Power Cords were described as black in color, 100 feet in length and 2inches in diameter and valued at $4,000.00 each.